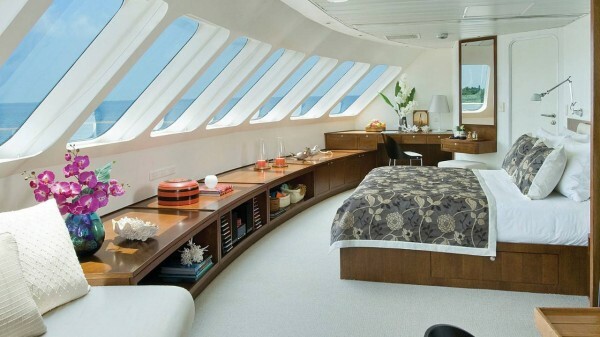 Do you remember the “Contemporary attic bedroom with an en-suite bathroom”? 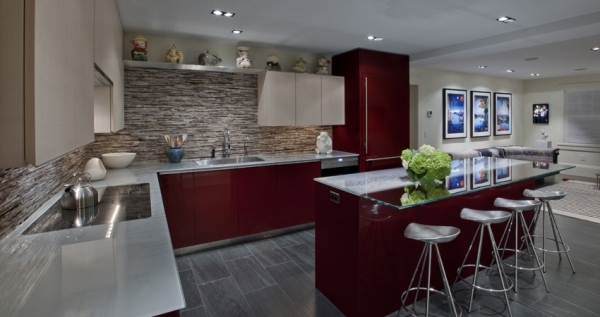 Well, this kitchen is what you’ll find if you get out of bed and go downstairs. 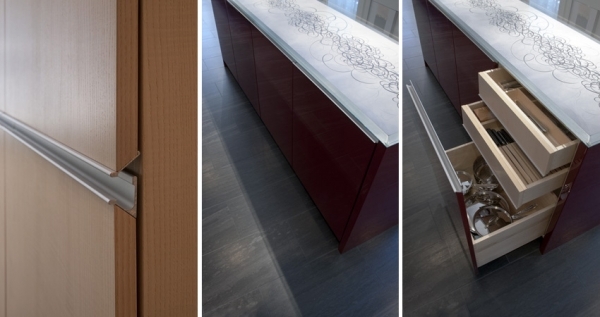 Both rooms are part of Lowry Hill house and are renovated by PETERSSEN/KELLER architecture. 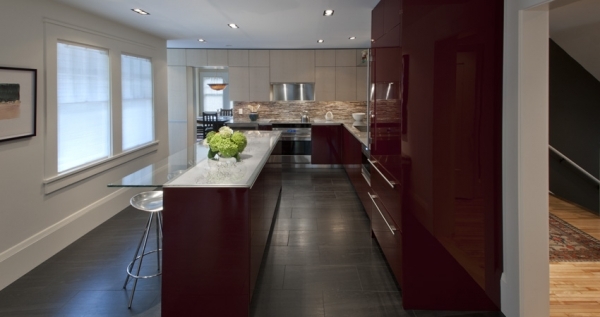 The kitchen is equipped with an in-floor heating under the dark grey Canadian marble floor. 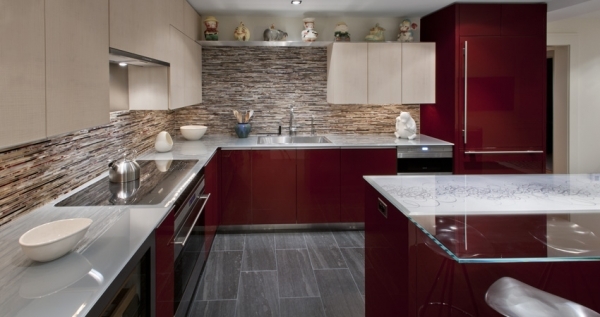 The upper cabinets are made of wood, while the lower ones feature deep red ultra-high gloss finish, which stands out perfectly against the grey floor. 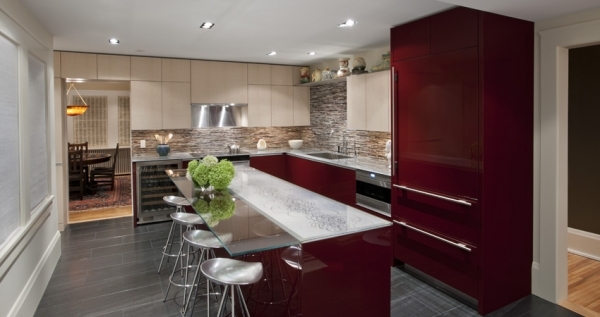 A smooth glass countertop provides a clean and minimalist work surface. 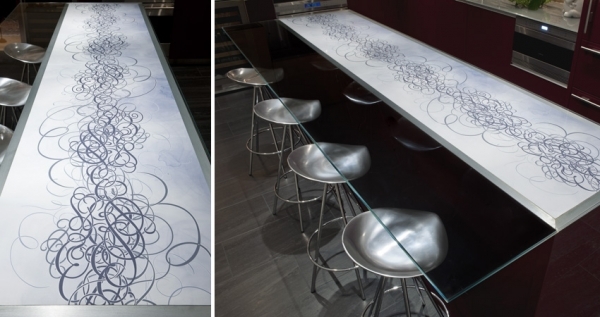 The secret of the unusual look of the kitchen island glass top is a stylish wallpaper inset in an aluminum frame. 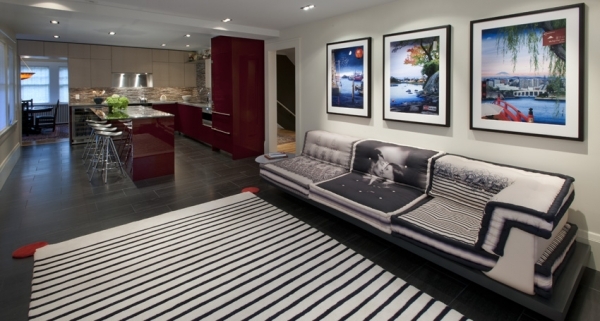 Black and white stripped carpet and an artistic couch in the family room complement the stylish kitchen design. 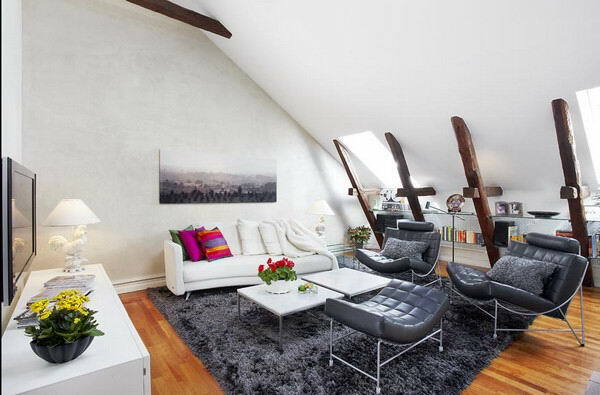 The family room is also used to display the owners’ art pieces that add a dose of extravagance to the interior.